Not everyone is that enamored with alternative materials for jewelry making. But I hope detractors will reconsider hardware store inspired jewelry tutorials for really fun and inexpensive jewelry. Check out the links below for some awesome ones featured previously. Many creative bloggers have been scouring their local hardware stores and shared some fabulous ideas recently. One of my favorites is Erica of Honestly..WTF's utility rope necklace tutorial which also uses compression sleeves. Brass is used for jewelry too, so why not check out all the brass possibilities in the hardware store? LoveMaegan teamed up a brass hinge and gold tone chain bracelet she made with lots of other bracelets. Cool! 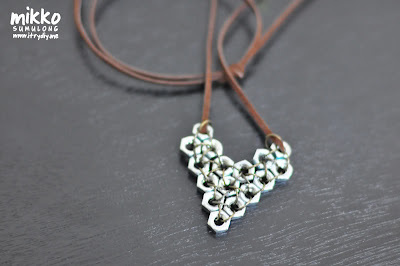 Mikko of I Try DIY certainly transforms simple hex nuts by grouping some into a heart pendant. I really like this idea because you don't have to make it into a heart shape. 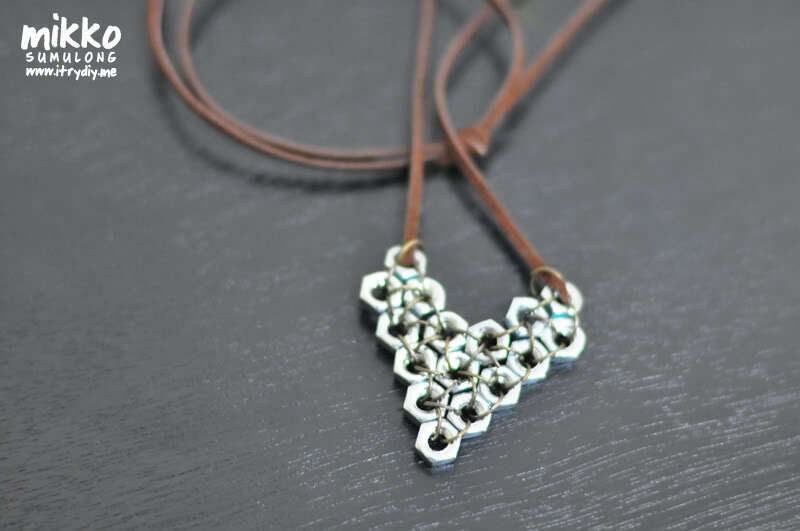 Sarah over at Bowdebra came up with this brilliant idea to use black rubber grommets as pendants and charms. The color comes from lengths of curling ribbon coiled around the grommet and secured with a head pin and bead! Michelle over at Mich L in LA who reads this blog and is a highly creative designer, came up with this framed pendant tutorial using the plastic wedge spaces for setting tiles. Like chunky styles? 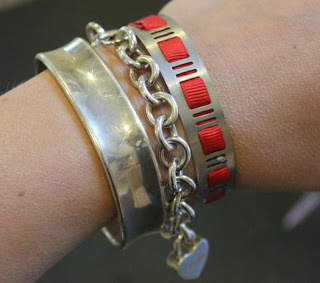 Then check out Kate of Centsational Girl's chain link bracelets. 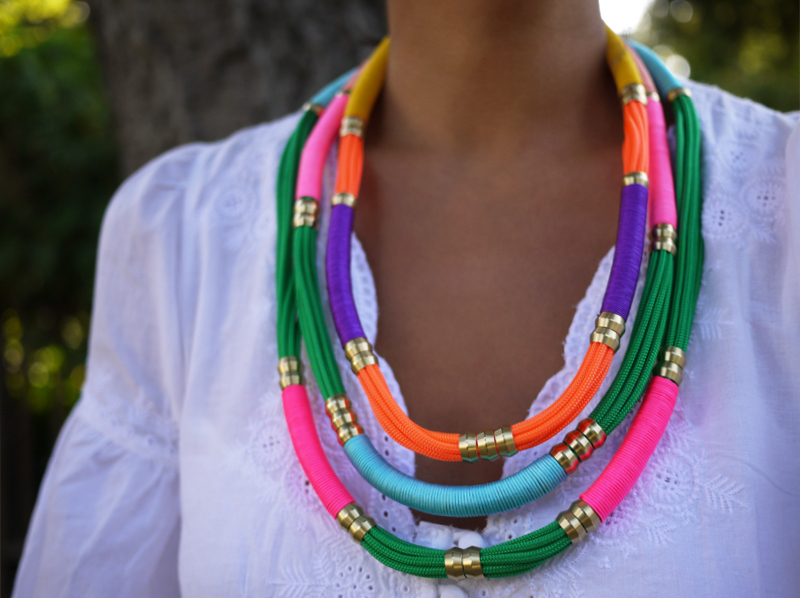 I like how she added colored beads here and there for accents. 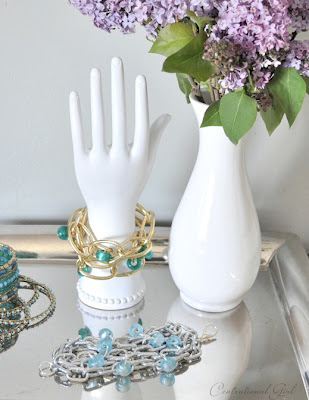 I've featured hose clamp jewelry before but here is a different take from Henry Happened. It's called the DIY Home Depot bracelet of course! 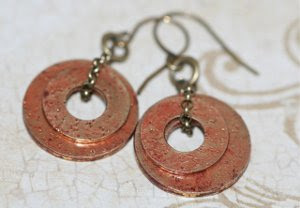 People will never guess where you got your jewelry from if you make these Distress Washer earrings, a tutorial by Irene Helms. Cool collection of upcycles! Some I never woulda thunk. Thanks a million for including one of mine, Pearl! Thank YOU for the inspiration! So many of us fail to see the possibilities with ordinary objects so your creativity is much admired!